The Division of Land Management offers Agricultural and Commercial leases. They have various programs for tribal members as well. 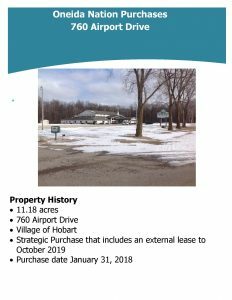 2018 01 31 PURCHASE 760 Airport Dr. 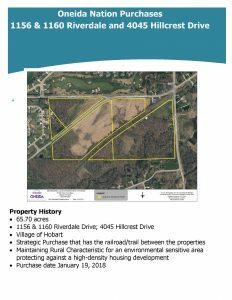 Agricultural Sites – Tribal and Non-tribal may apply Our available agricultural sites for lease our subject to an application process. A public notice of these opportunities are placed in the Oneida tribal newspaper as well as Land Management’s web page. 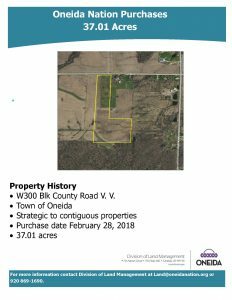 Please read the public notice sheet as it does have valuable information: the site, deadline date and time, handing in your bid and the method used in determining who will be awarded the lease. Thank you for your interest. OPENING BIDS ON TUESDAY, APRIL 16, 2019 AT 10:00 [email protected] LAND MANAGEMENT. Available commercial sites for lease are subject to an application process. Any storage units that are being offered for lease follow the same process. A public notice of these opportunities are placed in the Oneida tribal newspaper as well as Land Management’s web page. Please read the public notice sheet as it does have valuable information regarding the site, deadline date and time, handing in your bid and the method used in determining who will be awarded the lease. Thank you for your interest. (HIP) HOMEOWNERSHIP INDEPENDENT PURCHASE PROGRAM The Homeownership Independent Purchase Program (HIP) allows Enrolled Oneida Nation Members to purchase a home of their preference within the Oneida Reservation boundaries. 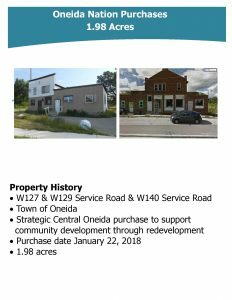 The New home buyer purchases the home (improvement) and if property meets DOLM guidelines, the Oneida Nation will purchase the land. Not currently be a party to an existing Residential Lease with the D.O.L.M. Subdivisions may not have restrictive covenants which would prevent the Tribe from having the land taken into trust. Subdivisions which may have such restrictive covenants include, but are limited to: Thornberry Creek subdivisions, Tailwinds, Centennial Centre, and Polo Point.